← Get Paid to Lose Weight? They say travel is the only thing you buy that makes you richer. Well, that makes sense if we’re talking about gaining new experiences, friendships and priceless memories. 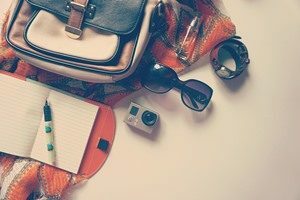 But when it comes to the financial aspect, let’s admit it, traveling does cost a lot of money. But what if I tell you that you can travel while putting money in your pocket? Yes, some people are so lucky to be able to travel and earn money at the same time. Some of these job ideas include working as a Travel Writer, English Tutor and Cruise Ship Staff, which I talked about on a previous blog post. Today, I’m giving you more interesting money making opportunities that you might be qualified for. Due to a shortage of nurses in specific locations, travel nurses are hired through agencies for short-term assignments, which typically last about 13 weeks. Obviously, you need to be a Registered Nurse to be able to apply. So if you are someone who has the degree and loves traveling, working as a Travel Nurse will give you the opportunity to explore the world and live in any place that you desire. FYI, the income range is around $30-$40/ hour and most of the time, the housing is already covered. Touristy places are always open to hire seasonal bartenders and servers, (especially in Europe, Australia, South America and Asia) and you don’t really have to be pro to apply for this job. Most hostel bars or some standalone bars are always welcome to hire backpackers. If you have enough knowledge and experience to be a fitness instructor, you can look for hostels and resorts who need freelance trainers or teachers for fitness classes like pilates, yoga, zumba, dance, etc. Same goes for those of you who have expertise in a particular sport. Work as a professional instructor whether it’s surfing, scuba diving, skiing, etc. It’s like hitting three birds in one stone – earning money, traveling and doing what you love. When you’re in an exotic destination, try to find some unique pieces that you can sell back home or online for so much more. This is an awesome and smart way to make the most out of your travels. This type of visa is popular in New Zealand, Australia, Canada, France, Ireland and Singapore. With your working holiday via, the government allows you to fund an extended holiday through temporary work. Each country has different requirements, so make sure to do your research online. Keep in mind that making lots of money while traveling isn’t that easy. Aside from skills and experience, you also need a lot of patience and hard work. There will be tons of challenges but if this is what you really want then I guess it’s worth it.